A functioning State with democratic institutions, independent judiciary, a university, an army and coast guard that protect its citizens against terrorism and piracy should be rewarded with international recognition, stated Swedish politician Jenny Sonesson. Aiming to be a role model for the Horn of Africa, Somaliland desires to attract investors and create a functioning market economy, a scenario whose precondition lie on international support. Today rededicated the Westgate shopping mall in the Kenyan capital Nairobi, after extensive renovation. When it opened in 2007, the luxury department store, with international brands, waterfalls and marble stairs, a symbol of economic progress on the continent. But two years ago, slaughtered the Somali terrorist group al-Shabab over 60 people in the shopping center and injured nearly 200. The terrorists were several customers hostage and only after four days of gun battles lifted the siege. The terrorist attack was a bloody retaliation for Kenya military fighting al-Shabaab in neighboring Somalia. In April this year, hit the terrorist organization to again and executed in cold blood 148 students at the Kenyan university in Garissa. Al-Shabab seeks to take power in Somalia, which has sargats a two decades long civil war. Over 20,000 troops from the African Union are stationed in the country, yet it is in flux. A week ago attacked the al-Shabab two hotels in Mogadishu and several people were killed. 2013 was shot to death a Swedish Left Party in the city. The same year noted Somalia’s President Hassan Sheikh Mohamud and the EU’s then-Representative for Foreign Affairs Catherine Ashton, in an article that “Without security there is no rule and no room for economic development”. It is an accurate analysis. In parallel with the chaos in Somalia is far too unknown region of the country that has managed to create a lasting peace. In northwest Somalia is the breakaway republic of Somaliland. Tired of the madness of war proclaimed the three million inhabitants themselves as independent in 1991 in a referendum. I myself have visited Somaliland on two occasions and is full of admiration for what it somaliländska people have managed to achieve. To build democracy in a region that ranks as one of the world’s most troubled is one of our greatest democratic achievement and deserves far more attention from the outside world. Somaliland should get the Nobel Peace Prize. Horn of Africa only democratically elected government is in Somaliland. For nearly 25 years, the functioning of state institutions established, a parliament, an independent judiciary, University, an army and coast guard to protect citizens against terrorism and piracy, and to strive for free primary education for both boys and girls. All this has been achieved on your own, without assistance, and with the help of a committed diaspora living all over the world. Not least in Sweden. The African Union, AU, has stated that Somaliland fulfills the criteria of independence, still has no country recognized Somaliland. The EU, weighed down by its colonial past, has referred to the AU must take the first step. But several of the AU Member States, which themselves are dictatorships, brakes. Not to be an independent country in a conflict-ridden region makes it difficult to attract investors. Although Somaliland is rich in natural resources, like oil and fish, and there are interested companies. 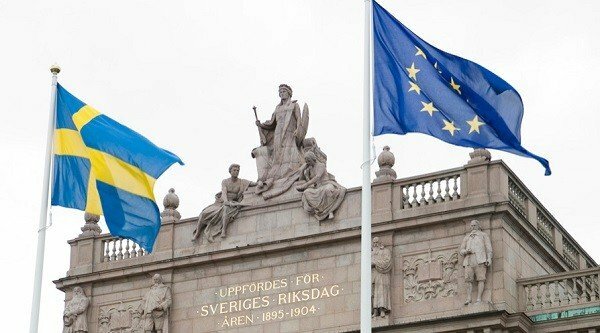 Sweden, which has recognized Palestine on highly questionable grounds, should be in EU circles operate a route map for Somaliland’s independence is established. Many young somaliländare sees no future in poor Somaliland and wanders through the Sahara to the Libyan coast. Those who do not die in the desert pinning their hopes on smugglers and their overloaded boats. The somaliländska politicians I have met want to build a functioning society in the Horn of Africa and be a role model for the entire region. They do not beg for assistance. They want to attract investors and create a functioning market economy. They want to continue combat recruitment to al-Shabaab and piracy. The outside world does by passively support the status quo is to run Somaliland against radicalization. in the diaspora to return and rebuild their homeland. It is unreasonable to democracy Somaliland is in a forced marriage with conflict hearth Somalia. If Sweden is serious about supporting human rights and trade in the Horn of Africa, we must not abandon Somaliland who stands up against the barbaric al-Shabab.